RayGunn Visits The Vector Volcano Classic Arcade In Bend, Oregon! | The Arcade Archives! 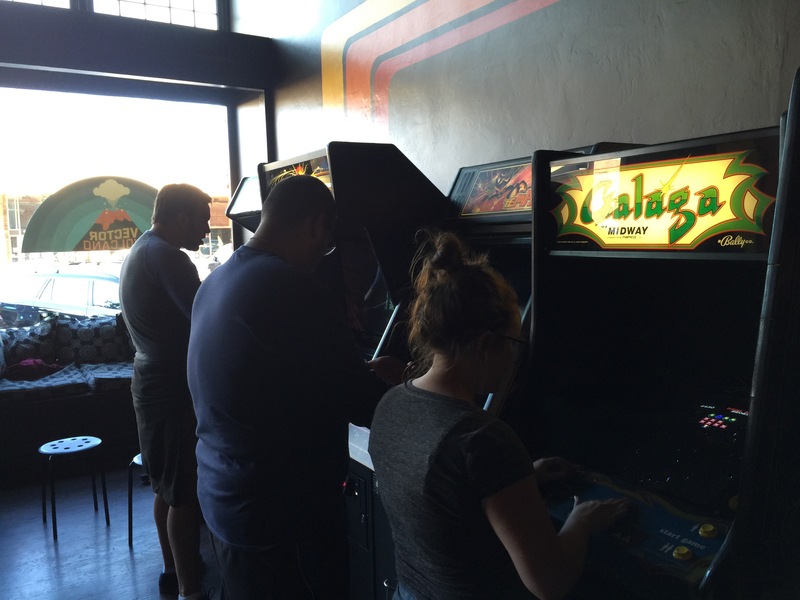 RayGunn Visits The Vector Volcano Classic Arcade In Bend, Oregon! The room is styled like an arcade right out of the early 80s! The attention to detail was amazing! The game selection would keep anyone busy for a very long time! Brett has been collecting since 1996, and it shows! Every screen clean, crisp, and vibrant, and the cabinets and their artwork have held up well- they look almost new! And all the games were working great! What I liked the most was his selection of the lesser known games- watch the video below and you will catch glimpses of Tapper, Cheyenne, Tutankham, Bubbles, Popeye, Zookeeper, and more! The even had a jukebox that played 45s in the back! The best part is THEY ARE ALL ON FREE PLAY! You can buy an hour pass, or an all day wristband! Go to http://www.vectorvolcanoarcade.com and learn more about this amazing piece of arcade history! I want to thank Brett and Danielle for allowing me to do this video review! and if you are visiting Bend Oregon , WHAT THE HECK ARE YOU DOING? GET DOWN TO THE VECTOR VOLCANO TODAY! This entry was posted in Archive Entries, Reviews, Videos and tagged 1980s Arcades, 4 slot Neo Geo, Arcade Archives, Asteroids, Bend, Bend Oregon, Black Knight, Bubbles, burgertime, Centaur, Centipede, Defender, Donkey kong, donkey kong jr, Dragon's Lair, Fathom, Fireball 2, Firepower, Flash Gordon, galaga, Gorf, Gorgar, journey, Joust, Kick, Marble Madness, Mario Bros, Medusa, millipede, Missile Command, Mortal Kombat, Mortal Kombat 2, Oregon, pac man, Popeye, q*bert, Qix, Rampart, Raygunn, Robotron: 2084, space invaders, star wars, Street Fighter 2 Hyper Fighting, Tapper, Tempest, tron, Tutankham, Vector Volcano, video arcade, Warlords cocktail, Zookeeper by raygunn1. Bookmark the permalink.